Glutamate which is one of the most abundant amino acids in the central nervous system (CNS) plays two prominent roles in brain function as an important metabolite coupling tricarboxylic acid (TCA) cycle and amino acid metabolism and as the major excitatory neurotransmitter (see Schousboe and Frandsen, 1995). The latter function is fine tuned by homeostatic mechanisms which during pathological conditions such as energy failure may be easily impaired leading to overexposure of glutamate receptors and subsequent neuronal damage, a phenomenon termed excitotoxicity (Lucas and Newhouse, 1957; Olney et al., 1971; Lipton and Rosenberg, 1994; Schousboe and Frandsen, 1995). The mechanisms responsible for the maintenance of extracellular glutamate concentrations within a very narrow physiological range involve control of its release and uptake as well as its intracellular metabolism. The present review shall deal with these aspects with the main emphasis on glutamate uptake and metabolism. 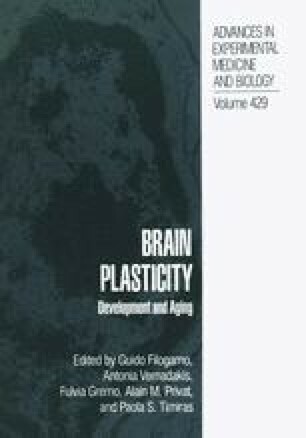 It has been generally accepted for a number of years that astrocytes play a very important role in these processes (see, Schousboe, 1981) and therefore emphasis will be placed on a discussion of the role of astrocytes in glutamate homeostasis.